Every Tuesday, Scarlett will get blood drawn. 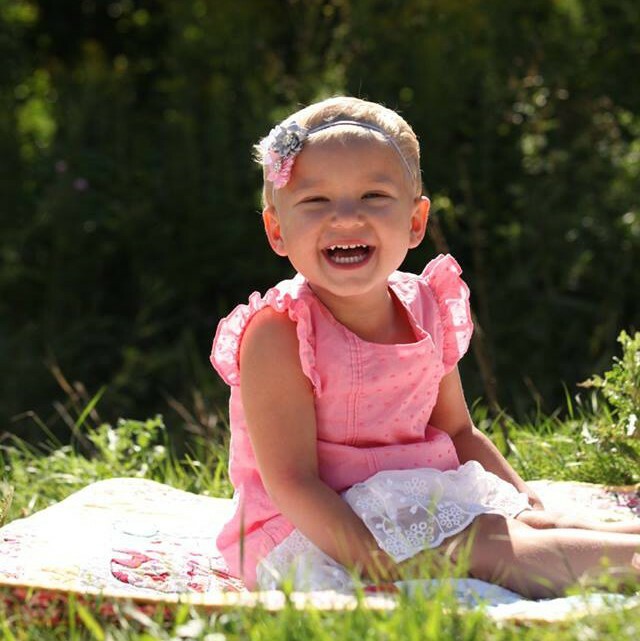 As the chemo destroys the leukemia cells in her blood, it does not discriminate and destroys her good cells as well. The lab work is done to make sure that we are not destroying them too much. Red blood cells carry oxygen to the body. This was one of the first signs of cancer in Scarlett. She was “slightly anemic” at first. The next time she was tested it was a sign of cancer. During her lab work, they test her hemoglobin (hgb) level. She has been very low and she has gotten blood transfusions. A low Hgb level can cause fatigue, cold fingers and toes, etc due to the lack of oxygen. Scarlett is experiencing fatigue and coldness. She always wants to wear pants and socks. Today her Hgb level was good. Platelets allow our blood to clot. This was Scarlett’s most significant abnormal value. She has had platelet transfusions every week since her diagnosis. She will probably have another one this week. We have to monitor her for bleeding and bruising. White blood cells fight infections. When this level falls too low, Scarlett is at risk of infection. If she is exposed to something as simple as a cold, she will get sicker than other kids. If she gets a fever, she will most likely end up in the emergency room and admitted to the hospital. Every week, depending on her lab results, it determines whether she can leave the house. So far, her levels are only mildly dangerous. As the chemo fights the “bad” cells, we will see a decrease in her “good” cells too. It’s a scary prospect to know that there is such a fine line between eliminating her cancer and causing such dangerous results. But after her chemo is done her body will start to make those good cells again. We look forward to that day when we can go do fun things that 2-year-olds do. I feel sometimes that all three of my children are missing out on a year of social growth because we will spend the winter at home, staying warm and healthy. But giving up one year, to save a lifetime, is more than worth it. Uncle John and I are praying for all of you daily.Reading your entries makes us feel closer to you all. Danielle your entries are so informative and yet poignant. You are an amazing woman and especially mother.